You may not have considered Antalya, Belek, for your golf trip - but you should. When one thinks of Turkey, the mind wanders to football, cuisine, culture – but probably not golf. That may be about to change. The European Tour’s Turkish Airlines Open, part of the Final Series for 2016, has flashed the spotlight on the country in recent years, and golfers are waking up to this sleeping giant in regards to golf. 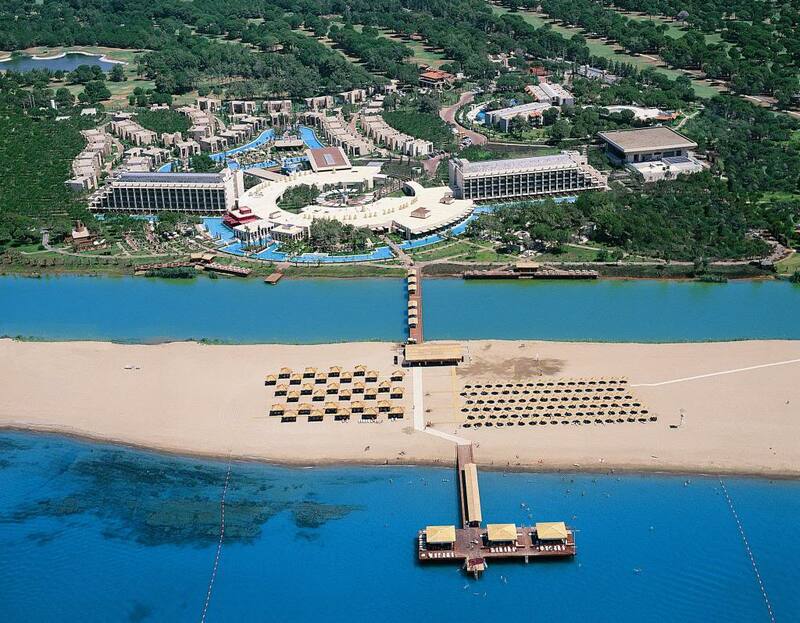 In November, the competition takes place at Regnum Carya Golf and Spa Resort in Antalya, Belek, on the southern coast. The track is not the only world class layout in the region, as I was to find out. Down the road sits the stunning Gloria Resort, boasting some of Turkey's most tantalising tests. Getting to Turkey from the UK is relatively cheap, and simple. Monarch fly direct from London Gatwick to Antalya airport with fares, including taxes, starting from £69 one way (£133 return) or to Dalaman from Birmingham, London Gatwick, Leeds Bradford, Manchester and London Luton airports, with fares, including taxes, starting from £69 one way (£183 return). And if you’re lucky, Monarch may show you the way to one of their lounges where you can fill your boots before the flight! We spent our time at the plush Gloria Verde Resort, a stunning luxury hotel boasting all the amenities you would expect from a world class setting. Vast swimming pools, outstanding restaurants, classy rooms and tip top service, name a few. Depending on your budget or preference, customers can choose from the Golf Resort, Serenity Resort, Verde Resort, or Gloria Villas, each offering a slightly different experience. Nearby lies Gloria Sports Arena, boasting state of the art equipment, including a cryotherapy chamber which immerses users in -125 degrees for a couple of minutes. They told us it aided recovery from exercise – we just forgot to do the exercise bit. The facility is frequented by some of Europe’s top sports teams, and Olympic hopefuls to boot – even if you are not keen on using the equipment, watching elite athletes train is a sight to behold in such opulent surroundings. Gloria’s Old Course was opened for play in 1997, the work of French designer Michel Gayon. Known as one of the finest layouts in the region, it’s also one of the country’s oldest courses. It can be reached from the Gloria hotels in minutes, allowing players ample time to warm up on the sparkling driving range and large short game area. It also leaves time to lube up with suntan lotion – whenever you visit, it will probably be warm. Or, as we did, take lunch al fresco overlooking the surrounding golf courses. The layout sits in impressive surroundings, at the feet of the Taurus Mountains and enshrined in forest. The first hole is an imaginative risk-and-reward test. The par-five doglegs to the left, giving longer hitters the chance of reaching the green in two over the water. It takes two monumental heaves to get there however and trees on the left side of the fairway complicates matters further. This is followed by a fun par-three, requiring the player to hit over water once again. After two holes, you could easily have taken two trips to the water – a running theme throughout the round, for us. Golfers then wind their way through pine trees, which line most of the fairways. Water is prominent throughout, as are numerous bunkers which boast light, fluffy sand and are kept in superb condition. The 16th is another memorable hole. The short par-four has a large lake to the left, and out of bounds on the right. The big hitters will be licking their lips, but players need laser-like accuracy if they want to avoid picking up shots. The final hole is a par-three, which is a welcome nuance. Bunkers guard the green left and right, and the sloping putting surface will make any short jabs a little nervier. The course is kept in superb condition at Gloria. There is no real rough to be found, rather pine straw and tree roots. This makes it an enjoyable outing no matter the handicap. The fairways are green and fluffy, while the greens are generally fast, large and undulating. This is the kind of layout you would see on a postcard trumpeting the merits of the region - the kind of course golfers daydream about at work. A truly memorable course, and bags of fun – after all, isn’t that what we play for?